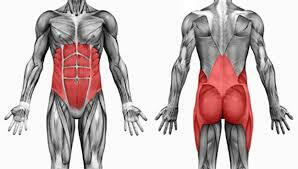 How Important is a Strong Core? 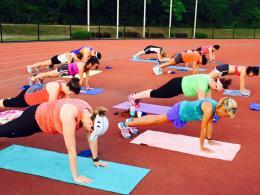 Core strength is the foundation for all your movement - whether you are novice or experienced runner. Overall core strength allows important muscle groups to work together in a cohesive way. A strong core can boost your speed, efficiency on uphills, help you avoid injury on downhills, strengthen endurance and improvement lateral movement on trail runs. Fleet Feet's four-week program, educates runners on the importance of strength and control of the glute, abdominal and hip muscles that constitute the core. Participants will learn key exercises to engage the core that can be incorporated into their personal training and workout routines. Class will incorporate the use of resistance bands and functional movements to improve running efficiency. Our program coach uses the newly introduced exercises for a great in-class workout as well. We have classes during all racing seasons! Maximum class size - 17 participants, unless otherwise stated. Exercise mat required; resistance band will be provided. Note: Class minimum is 10 participants. Description: A strong core helps with stablility, posture, balance and overal control; it also reinforce the way your pelvis, abs, hips, glutes and lower back work together. The class will meet for 45-minutes over 4 weeks with each class building on exercises and poses to build strength. Moves can be modified for different levels of strength. Classes will be held in January, April and July. Our next spring session starts April 5th. Class requires an exercise or yoga mat. Bring a resistance band if you have one; if not, one will be provided.